By the time I made it to Olivet, the road was clear, but still a little wet. By the time I got to Charlotte, the road was actually dry, but passing semi’s had done a number on my windshield. It was getting to the point it was hard to see, so I had to pull off. Lucky for me, I knew there was a Meijer at the next exit. The Charlotte Meijer sits right off I-69 on East Clinton Trail. There’s not much surrounding the store in the immediate area. There’s an urgent care and a Meijer gas station, but that’s about it. The first thing I noticed about this store was the design. I say all the time that Meijer’s always remind me of warehouses. Usually, that’s because of the ridiculous size. The Charlotte store actually looked like a warehouse. 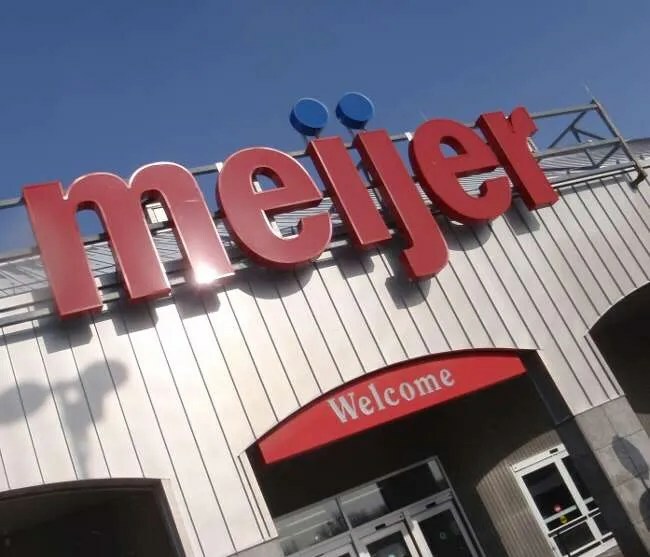 I wouldn’t have guessed it was a grocery store if there weren’t large “Meijer” signs hanging from the facade. 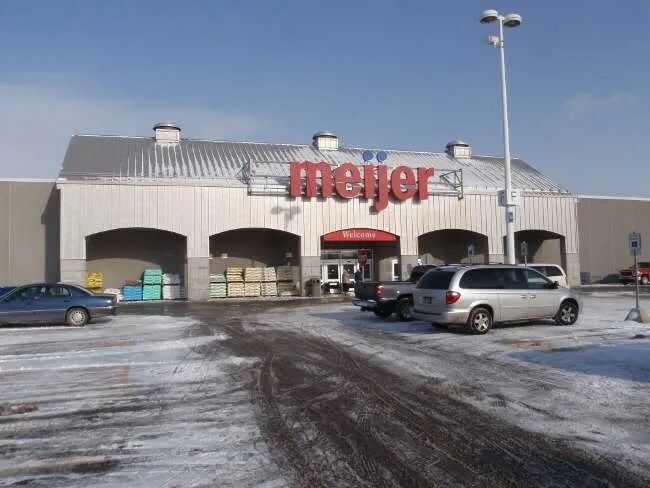 The inside of the store was one of the nicer Meijer’s. Immediately off to the right is the produce, bakery, etc. I went to the left to try to find automotive. I was again texting J to let her know I was making progress and she could stop worrying. Mid-text, I walked by some green bottles. Luckily, I just caught sight of them out of the corner of my eye. They had a mid-aisle display of the Meijer brand de-icer and windshield washer. I grabbed a bottle and headed towards self-checkout. The big bottle was just a little bit over three bucks. I probably should have went looking for new wiper blades too, but I didn’t and I’ll have to take care of that on my next Meijer trip…..and you know there’ll be plenty more.